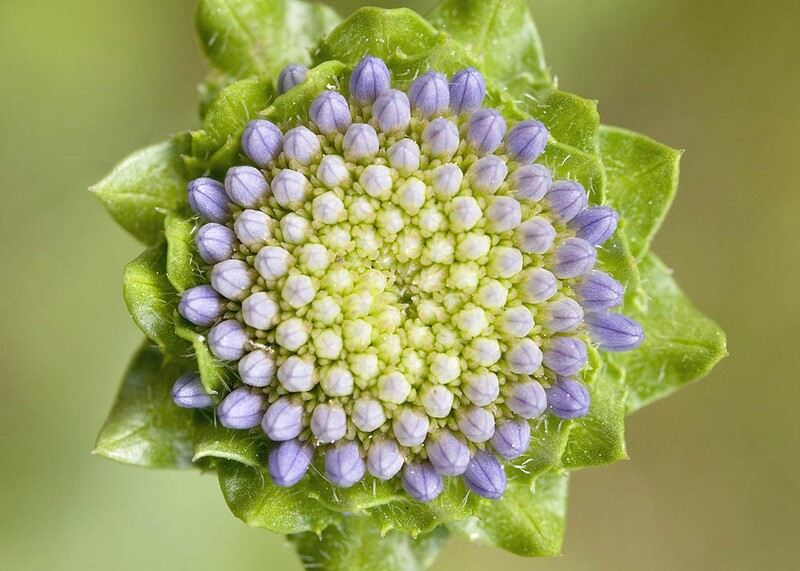 Sheepsbit is an attractive, short, native biennial with a mass of slightly spreading and slightly hairy leaves forming low, rounded tussocks. 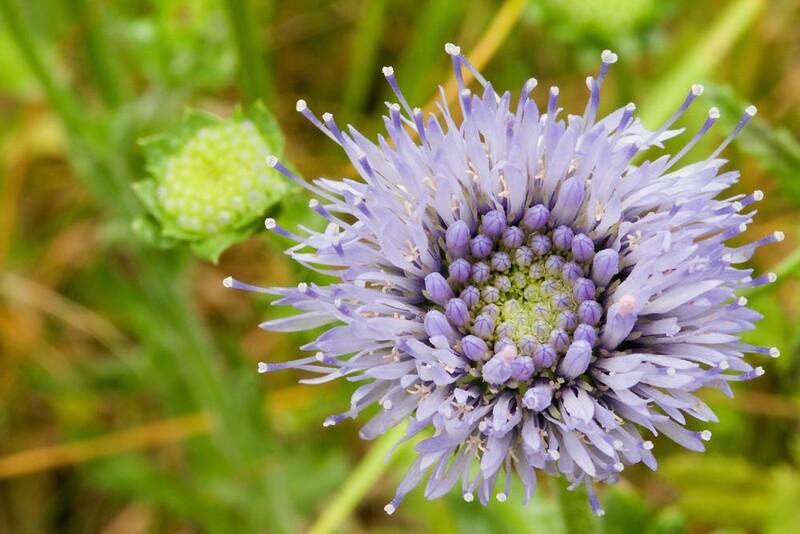 Although its rounded head of many bright blue (or occasionally white) flowers is similar to that of a scabious it is actually more closely related to the bellflowers. Flowers from May to September. 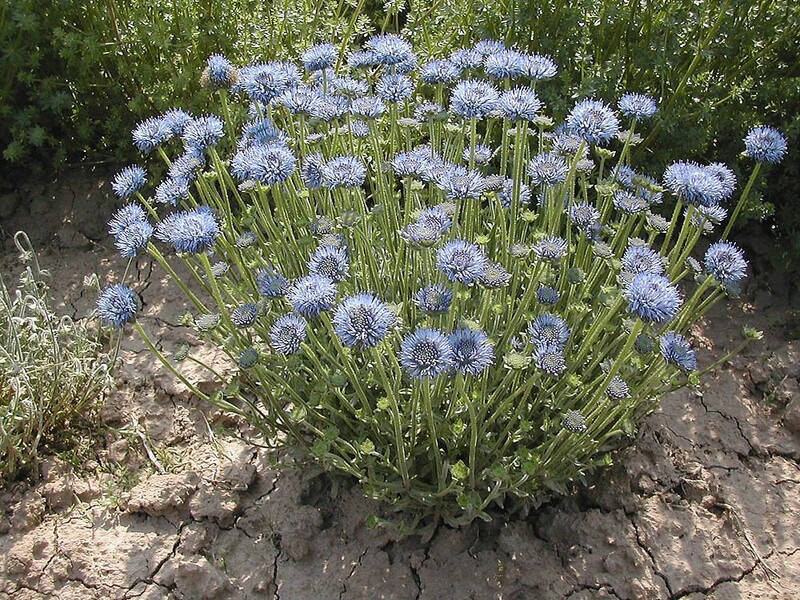 Sheepsbit is a biennial of acidic, shallow, well-drained soils. 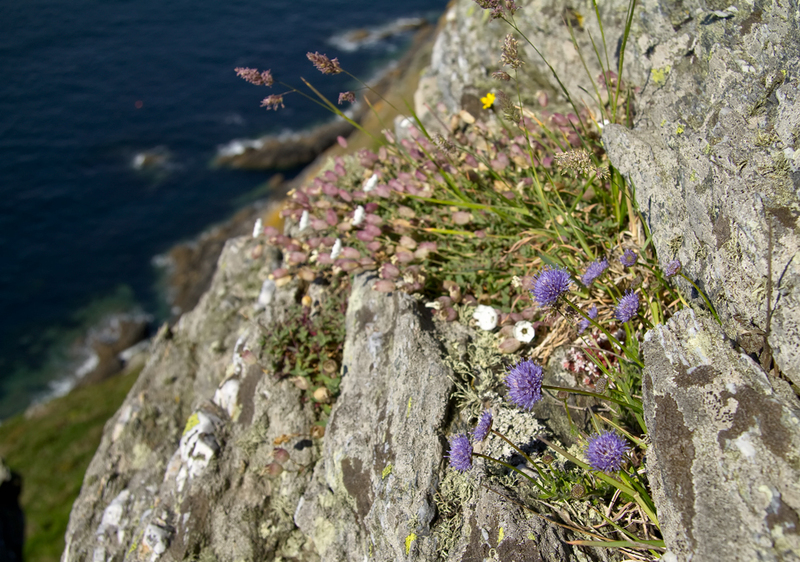 It is most often found on sea-cliffs, in maritime grasslands and heaths and on grey dunes. It can also be found inland particularly in the west of the country where it is found on heath-land, stone walls and hedge banks. 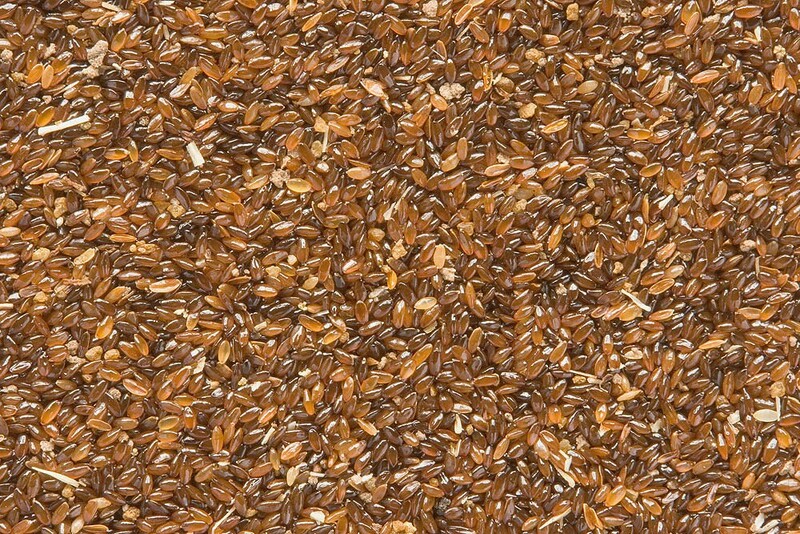 The plant is strongly reliant on seed for propagation and is a ready coloniser of disturbed or open sites. Lack of management or grazing often results in the loss of this species. 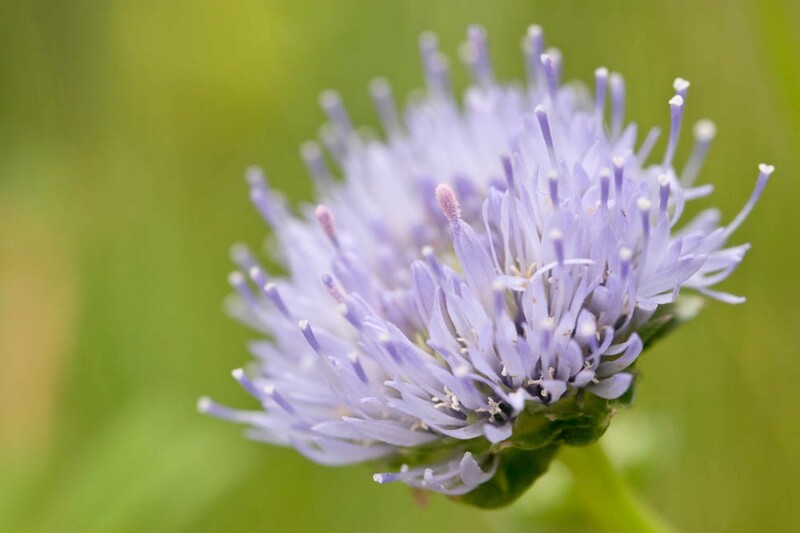 Grows readily from seed sown any time of the year.